Arby’s was founded in Boardman, Ohio on July 23, 1964, by brothers Forrest and Leroy Raffel, of New Castle, PA. Forrest “Fuzzy” Raffel was a graduate of Cornell University’s School of Hotel and Restaurant Administration while Leroy studied Finance at the University of Pennsylvania. 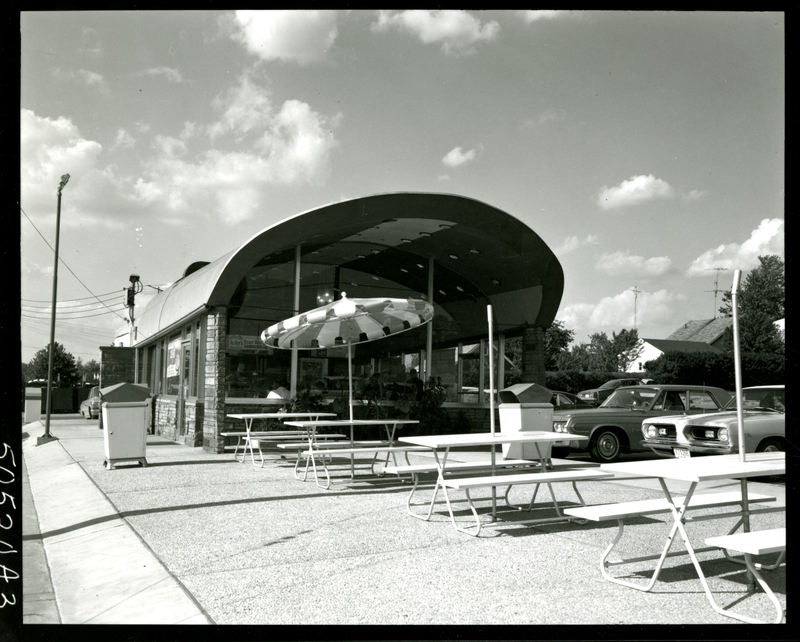 In the 1950s, the brothers bought their uncle’s restaurant equipment business and created Raffel Brothers Inc. which quickly became one of the country’s leading foodservice consulting firms. They designed and installed school and hospital kitchens as well as airport flight kitchens at Pittsburgh International Airport. Inspired by the success of other fast-food restaurants such as McDonald’s, the brothers decided to take a chance and open a restaurant of their own. 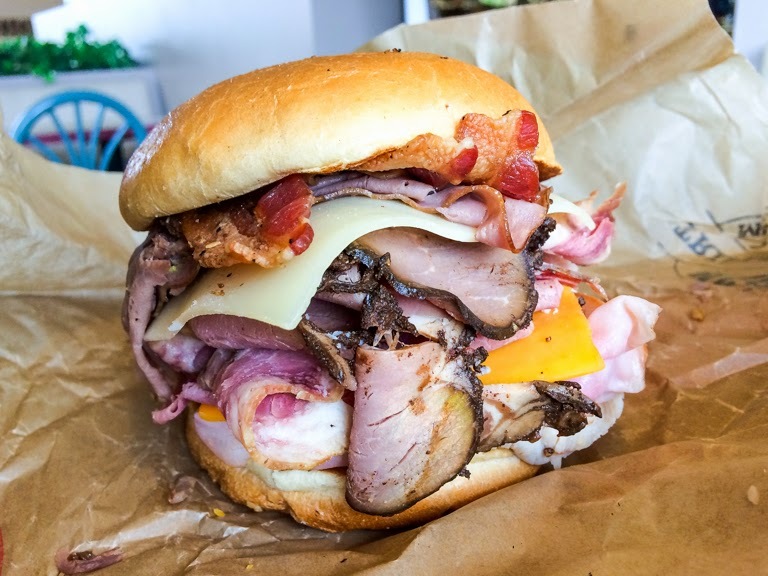 Their vision was simple: to sell quarter-pound roast beef sandwiches the way McDonald’s sold hamburgers. Their first menu items were roast beef sandwiches, potato chips, and soft drinks. They originally wanted to name their restaurant “Big Tex,” but since that name was already in use by another company, they chose the name “Arby’s,” based on R. B., the initials of Raffel Brothers. Contrary to popular belief, R.B. does not have anything to do with “roast beef”! 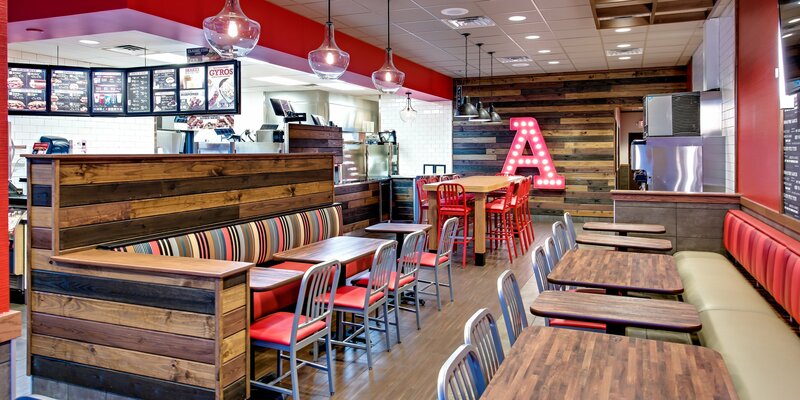 Wanting to position Arby’s like a more upscale restaurant, they designed their decor to be more eye-catching than your average fast food restaurant of the day. That first restaurant featured a beef roast on a rotisserie behind a glass case and had just ten seats. The restaurant also offered their roast beef sandwiches for $.69, almost five times the price of a McDonald’s hamburger, which was being sold for $.15. Their strategy proved to be a success, however, and soon Arby’s was experiencing rapid growth. The first franchise opened the following year, in 1965. By the end of the 1960s, there were over 300 locations in 40 states. As Arby’s expanded throughout the early 1970s, the brothers ran into financial trouble and eventually had to file for Chapter 11 bankruptcy reorganization. They recovered quickly and began growing again, eventually selling the company in 1976 to Royal Crown Cola Company for $18 million. With the sale, headquarters moved to Atlanta, Georgia. Leroy Raffel remained CEO until his retirement in 1979. Company Slogan: The chain has had a number of slogans over the years. The current one is “We have the meats!” Courtesy of fandom.com, here are some historical ones used by the company over the years. In 1978, the chain introduced a new sandwich, the Beef ‘n Cheddar, which was wildly successful and has remained mostly unchanged to this day. They have since created several other menu items, including Jamocha Shakes, chicken sandwiches, Curly Fries, and two signature sauces: Arby’s Sauce and Horsey Sauce. Baked potatoes were added to the menu in 1985, and 1988 Curly-Q Fries were introduced, what we now know as Curly Fries. What Is It Like To Work At Arby’s? Name Origin: They originally wanted to name their restaurant “Big Tex” but since that name was already in use by another company, they chose the name “Arby’s,” based on R. B., the initials of Raffel Brothers. Contrary to popular belief, R.B. does not, in fact, have anything to do with “roast beef”! Interestingly, Arby’s also became the first fast food restaurant to offer a complete “lite” menu in 1991, with several low-fat sandwiches and salads to choose from. Arby’s innovation continued with its line of Market Fresh sandwiches, introduced in 2001 and as of 2012, roast turkey was also added to its menu. Today, the chain offers Angus steak, brisket, corned beef, bacon, turkey, chicken, and ham sandwiches as part of their regular menu. Listed below are the resources that were available at the time of this posting. For a better understanding of how restaurant discounts work and why they can be so inconsistent; check out In the world of restaurant discounts: What you need to know. 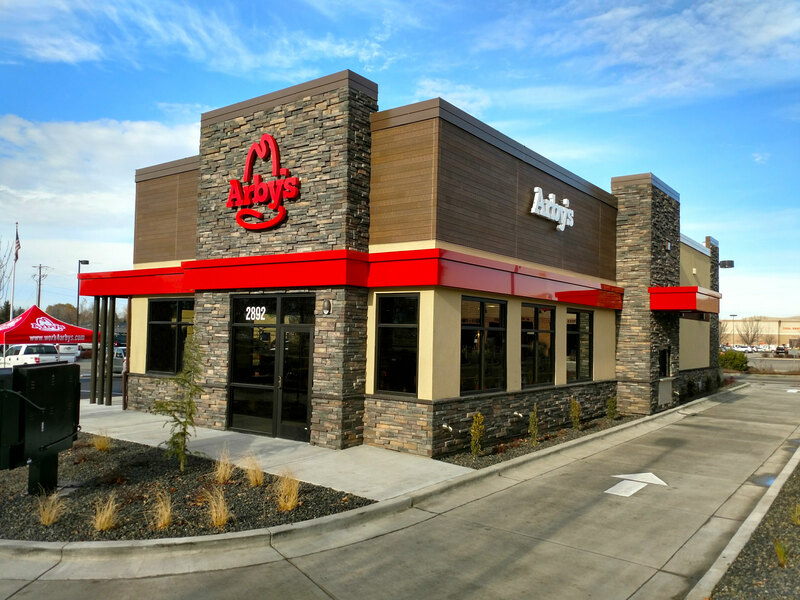 Please use this link to find Arby’s’s locations so that you can call your local store to inquire. Do Kids Eat Free at Arby’s? Does Arby’s Offer Military Discounts? Summary: Generally, they do offer a military discount but the percentage varies from location to location so check with your restaurant. What Does Arby’s offer for My Birthday!? Summary: Arby’s currently offers free items for your birthday when you are signed up for their email list (items vary based on your location). Below are a couple of sites that will help you enjoy your next birthday! Does Arby’s Offer First Responder Discounts? Summary: No resources were found. Does Arby’s Offer Senior Citizen | AARP Discounts? Summary: At this time Arby’s does not offer any senior citizen discounts. Are There Any Other Discounts or Benefits at Arby’s? Summary: Arby’s offers its Loyalty Program which provides several ongoing benefits. Check their page for current information and promotions. Also, make sure and check out our Rewards Program Page for links to all restaurants featured on Back of the Menu. Clean Eating (farm to table, organic options, non-GMO, etc): No resources found. Peanut Free Options: No resources found, but the following may be helpful to you. Does Arby’s Have Any Secret Recipes? 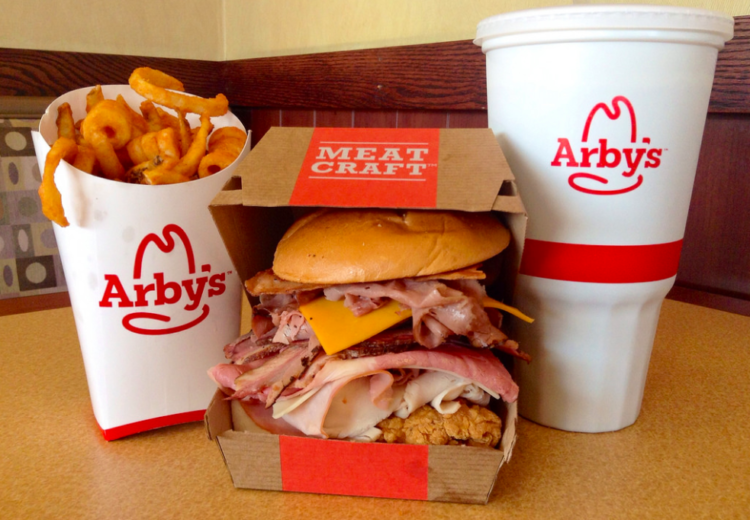 Arby’s is America’s second largest sandwich chain after Subway. There are over 3,300 locations in the US as well as international locations in Canada, Turkey, United Arab Emirates, Qatar, Egypt, and Kuwait. The company acquired the famous wing chain, Buffalo Wild Wings in 2017 for $2.4 Billion. For an alphabetical listing of all our restaurants, simply go to our Restaurants Page. I love how the Raffel Brother’s took something that was already working so well (McDonald’s) and changed it to make it different enough yet wildly successful. Before Chick-Fil-A came along, Arby’s was often my go-to for fast food. Their restaurants, at least in our area of the country, always did seem to be a bit more “upscale” than their burger counterparts and I liked that they offered something different. Now 55 years old, the company still looks and strives to be different than their competitors. Over the years not only did they provide a varied menu from others, but they were also the first fast-food restaurant in 1994 to ban smoking from their locations. More recently they were the first to market and sell unique big game meats like deer and bison and in the last couple of years broaden their horizons with the acquisition of Buffalo Wild Wings. I think it’s safe to say they will be around for years to come.